Colors = shades of golden ambers from spun honey to whiskey dark in finishes of matte soft to glossy bright rainbow plus a stir of gold metallic. Like the hunter sauce (broth gravy) it is named for, this is one of the most popular color of Bead Gravy. 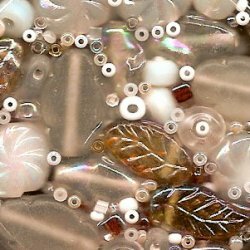 More results in Bead Gravy - All Seed Beads, No Lumps! 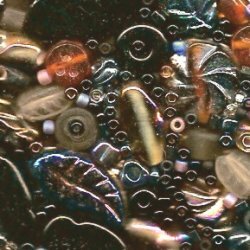 Colors = large and small pressed beads in frosted black and grey, smoke, rainbow and matte amber, and the complement black Bead Gravy. Named for a high-end ingredient, this lush recipe of rich darks speckled with gold and reflected violet is frequently a solo dish in creative interpretation. Bon appetite!  Colors = large and small pressed beads of rainbow white, frosted or rainbow crystal, matte white, touch of amber and the complement white Bead Gravy. Richly satisfying, this creamy neutral will fill the palette for many creative projects. 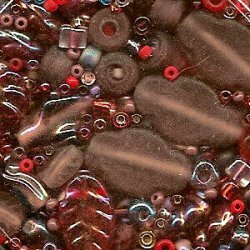 Colors = large and small pressed beads of a bi-color mix of ruby red and violet in rainbow and matte finishes, with a healthy dose of Sparkling Cranberry Bead Gravy. This is a berry-bright compote of reds and raspberry purples that will add tart zip in visual flavor to anything you choose. 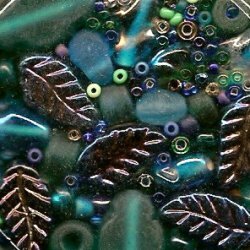 Colors = large and small pressed beads of a bi-color mix of warm green and teal with a splash of cooling blues in matte and rainbow finishes, mixed with a toss of Blueberry Lime Bead Gravy. Despite the summery cool deep blues and greens, the spicy bite of this mix will add a bright accent to any embellishment.